Love to Bake! Here is another opportunity. As you pack your car for the trip to McAllen, include a dozen or so of your favorite cookies. 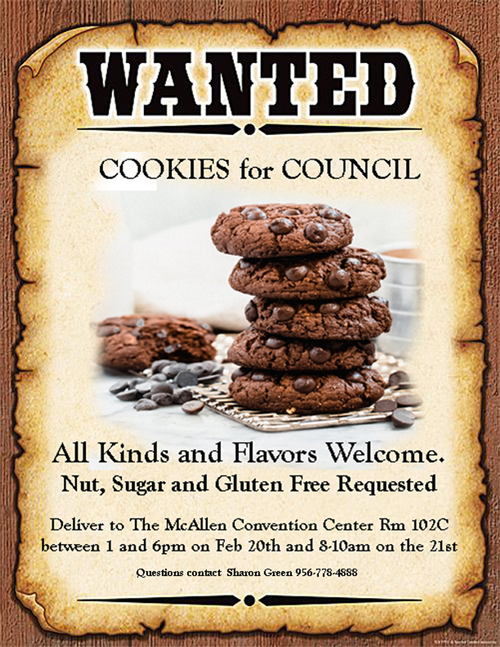 Deliver to room 102C at the McAllen Convention Center between 1:00 pm and 6:00 pm on Wednesday, Feb 20th and between 8:00 am and 10:00 am on Thursday, Feb 21st.